its so lovely but it does a weird thing in back toward the bottom left, like its going crazy or something but the rest looks fab. i thought it was just the clothing i had chosen but it does it for everything. its not as smooth as it looks in the picture above :c how do i go about fixing this? not a problem :D just thought you should know its a tad fussy in game, thats all lol. if you can render it fixed id be eternally grateful! Hi I love your work is super neat and smooth. I was thinking could you please do a hairstyle inspired by Ariana Grande newest hairstyle please that will be awesome :) !! Hi David!! 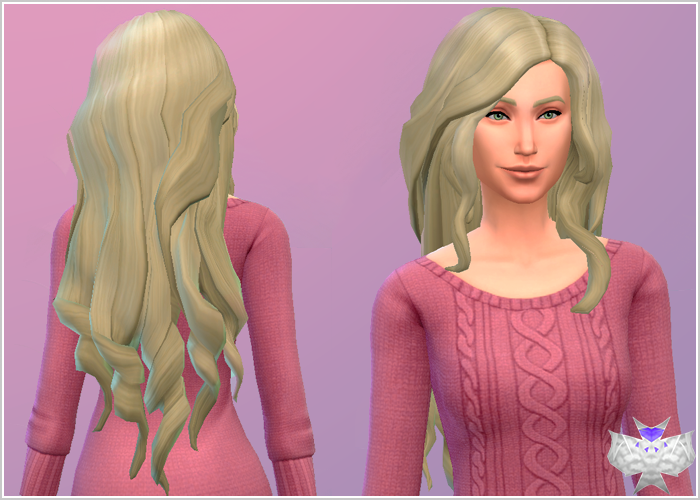 I love the hair so much ^_^ Btw is it okay if I retextured it and shared it with others? I will link to your blog and will give credit. Как вернуть файл на CFG, Помогите!! !